Review: "ProcessMaker - Best for the Basics and New Users"
I reviewed ProcessMaker as part of an initiative to find the best fit for a local school. They had an issue with efficiency and spending time on the right tasks. They were spending too much time in trivial things which could be automated, and doing these things on paper, so they were easily spending at least a full day's worth of time doing these things. My role was to come in and find a solution which addresses both their efficiency issues and making sure the process is more refined. They wanted to spend more time working on the relationship with customers and not simply filling out paperwork day after day. User interface. It is clean and easy to understand. You won't get overwhelmed the second you log in. The workflow maker. With a drag and drop interface, you can easily visualize and implement what you want on the screen. Out of all the programs we tested, this one had the easiest process maker and designer. Ease of understanding. My biggest recommendation would be that this program is easy to access for anyone. There are complications (see negatives) but this program can be implemented quickly and efficiently, and nearly anyone can learn to use it. You will not feel like you are in the dark with it. Complications when you get to the more advanced pieces. When trialing, I found that the more advanced a process got, the more complicated it got for me in coding. When you begin using the more advanced features, you will find that you need to have a basic knowledge of coding - otherwise you won't go any further. This was my sole issue. Unfortunately, it was one that would have brought the school to a grinding halt if they were to ever get more complicated than they were. I loved it. You will not get an easier interface. You can develop workflow processes in a simple way, one which allows anyone to understand what you are trying to accomplish; however, you will get into some issues if your employees are scared of coding (when you get to the advanced features). For some, this will never be an issue as the knowledge you need is very basic. But for the school I was working with, it would have stopped them cold. ProcessMaker Review: "A good BPMN tool to try." An amazing BPMN system which helps us to implement our workflow projects. We needed to normalize our business processes. By using Processmaker, we draw our process and related electronic forms easily. And, ProcessMaker provides an easy way to write code to customize the workflow. Great! 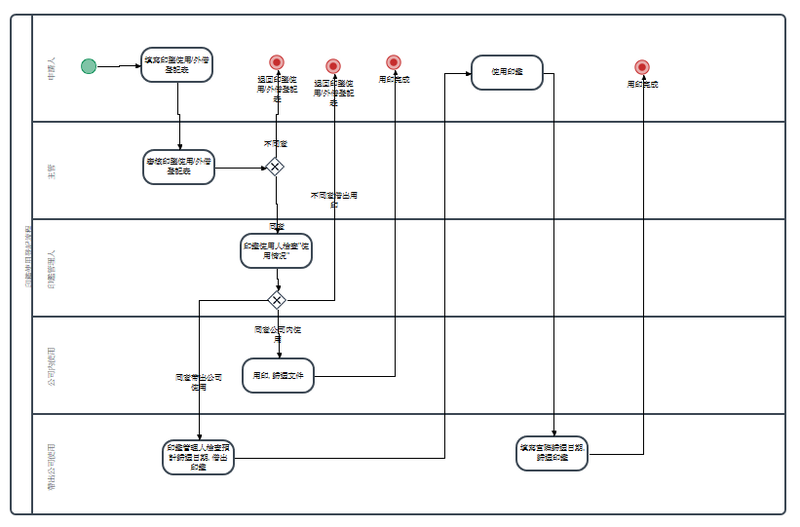 The Processmaker provides a What-You-See-Is-What-You-Get flowchart design tool, we can draw our process very easy like Visio. And, We can use the flowchart to implement our workflow. Also, the Dynaform, the electronic form function of Processmaker, is WYSIWYG form design tool, help us design forms participated in the process. The Compatibility with IE Browser. The IE Browser is not compatible with jQuery, and ProcessMaker is based on jQuery, The user who uses IE Browser is somewhat difficult using ProcessMaker normally. ProcessMaker Review: "Outstanding platform for mapping and controlling processes"
ProcessMaker is a great tool that we use for implementing process management solutions for our clients in the oil and gas industry. It is suitable for any industry or business where management has to control different processes and people. Also good in industries where the companies have to deliver reports within a timeframe. Good for following up actions. ProcessMaker Review: "Good Workflow Maker"
ProcessMaker is a good workflow design platform. ProcessMaker is suitable for building a relatively complex task flow. Through the BPMN2.0 engine allows users to easily through the GUI design and implementation of the task workflow design. Meanwhile, ProcessMaker can be a simple set of task process data deployed in the specified database. The highly open Restful API brings good operability and scalability to software developers. Look forward to this product in the future to have more subsidiary features concentrated in the company or government social community. Overall, I recommend this product. Real time communication function base on role relationship or task process group. Recommended government and company use. Review: "ProcessMaker is really a key-leverage to make our business grow." We use ProcessMaker to diagram, organize, document and track/monitor the real flow of our customer services-related processes. The main and most important problem that the tool addresses is, in our opinion, our need to monitor internal processes, measure performers' efficiency and assess customer quality. Likewise, it's been critical to help us turn our processes into a graphical and straightforward guidance on how to better perform a task for our teams. Metrics, dashboards, and KPIs provide managers with the right indicators to measure efficiency. Design: extremely easy to draw BPMN 2.0-based processes. Real-time process track: The status of any task can be monitored at any time. User's menu: not straightforward, main features difficult to find. Coding requirements: several important and valuable features require complicated coding. Suitable for customer-oriented businesses processes. Convenient for firms with the need to track teams' performance with tailored indicators. Not adequate for simple processes which require only modeling and graphic design. ProcessMaker Review: "A must Use software for small and medium businesses"
The processmaker tool has been a real help in automating some of my workflow in my department. We are using it for managing the HR process to handle incoming candidate resumes. The tool has helped to streamline the HR work. Hiring and managing human resources has been a great ease with the simple drag and drop workflow designer. Also, it is easy to design and modify the workflow without having deep programming knowledge. I am still not able to achieve complicated workflows. May be a developer to create a plugin is required. The UI can be more attractive and colourful. It is best suited for organisation that needs to automate a simple workflow which generally gets messed up in a manual system. It is easy to use and design. A small and medium sized business must go for it. If you are looking for a too complex workflow design then you may need to hire a process maker plugin developer. ProcessMaker uses a drag-and-drop interface to build workflows to drive automation as the basis of its software-based business process management platform.